Inspired by suspension bridges—structures that deliver the most using the least material—Sayl's 3D Intelligent back lets you stretch and move, striking a healthy balance between support and freedom. The elastomer strands vary in thickness and tension to provide greater support along the spine where you need it most, and less everywhere else so you are free to move in this ergonomic office chair. 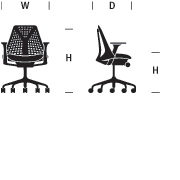 Good design, healthy support and exceptional value are always attractive – and Sayl delivers all three. 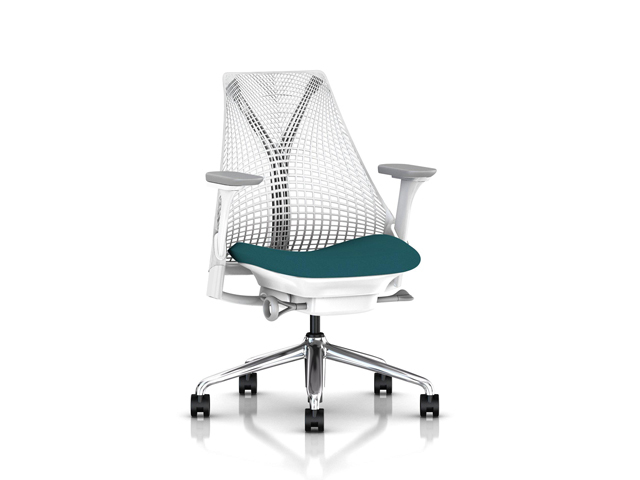 By using smart engineering to transform simple materials, we were able to make Sayl attainable for more people looking for an ergonomic office chair. Wetting the fabric with any liquid solution may result in permanent damage.